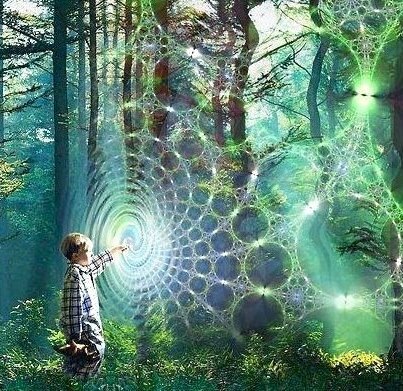 “Future Medicine will be based on controlling Energy in the Body"
Everything in the Universe is comprised of Energy that Vibrates with a variety of low-medium-high frequency. 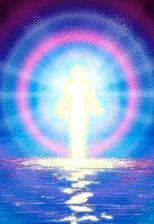 The higher frequency the faster healing will occur. The Healing Codes made a bold leap into the next major step in the healing paradigm. The Healing Codes were created by Dr. Alex Loyd and Dr. Ben Johnson (the only medical doctor to appear in the movie “The Secret”), reveals a revolutionary process that affects and heals the source of virtually all illnesses and diseases, even success and relationship issues. Did you know that one thing accounts for up to 95% of all illness and disease? It’s true! According to the research conducted at Harvard Medical School, Stanford University Medical School, the Mayo Clinic, the Centers for Disease Control and numerous other research centers, there is one source for up to 95% of all illnesses and diseasees. King Solomon revealed this source more than 3,000 years ago, and modern science has now confirmed it! The Key to Healing is to Remove the One Source of Illnesses and Diseasees. In 2001, Dr. Alex Loyd discovered how to activate a physical function which is built into the body that consistently and predictably removes this one source of illness, so that the body’s immune system can do its job of healing whatever is wrong in the body. Dr. Loyd’s findings have been validated by observations and experiences of thousands of people from all over the world who have used The Healing Codes to heal virtually any physical, psychological, emotional, or relational issue, as well as to realize tremendous breakthroughs in personal success. The Healing Codes have also successfully been used to resolve virtually all kinds of relationship issues and success issues. This revolutionary system reveals a“Universal Healing Codes” that will successfully heal virtually any issue for the vast majority of people….whether the issue is physical, emotional, relational, or success oriented. The One thing that just about everyone does agree on is that almost all health issues originate from one problem – STRESS!!! The system is based on reducing/removing the stress from the body on the physical, emotional, physiological and psychological levels. Stress is a term that is commonly used today but has become increasingly difficult to define. It shares, to some extent, common meanings in both the biological and psychological sciences. These chemicals give people more energy and strength, which can be a good thing if their stress is caused by physical danger. But this can also be a bad thing, if their stress is in response to something emotional and there is no outlet for this extra energy and strength. There is a big difference between Circumstantial Issues and Physiological Stress, that results in illness and disease. Physiological stress is when our Nervous System is out of Balance!!! 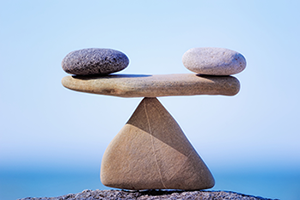 Balance is the Key of Life!! Stress penetrates into the cells. The Human Body is composed of about 10 trillion cells. Everything from reproduction to infections to repairing a broken bone happens down at the cellular level - cells have memories. To heal your problems you have to eliminate or reduce the stress. There’s just no other way. It’s one thing everybody agrees on, including traditional and alternative health care professionals. There’s just no way around it, you have to heal the stress if you want permanent, long-tem, complete healing for your problems. To heal the stress you have to heal the memories. According to research from Southwestern University Medical School and Stanford University Medical School, the thing that causes the stress response in the body is not just our current circumstances. It is our wrong beliefs, our destructive cellular memories that are encoded and stored in our hearts, in our minds, in our cells. Healing the cause/source of the health issues is changing the effect, you get the result. You may know it in a day or a week, but if you keep seeking the Truth & Love, you will find the answer to this question, it will come to you. As you clean out the destructive memories from your body, heart, that vision will be clear for you. It’s our destructive cellular memories that cause us to believe something that’s not true, that make us afraid when we should not be afraid and that active stress response of the body. These destructive memories cause us confusion – we take the wrong road. 1. Number of the cellular memories that conflict with each other. Once these cellular memories are healed, you'll find clarity of purpose that you have never experienced before. To get the results, you have to have a Power. The greater the power, the greater the results. This Power resides in your Believes. Tremendous power is inside in the “issues of the heart” and can be constructive or destructive. It can block your goals, relationships and create illness and disease. Or it can empower you to a fantastic accomplishment, wonderful relationships, and tremendous health. How to release this Power? This tremendous Power is released by Belief. We always do what we believe, and everything we do, we do because of something we believe. If you're doing something that you don't want/like to be doing, it’s because you have a wrong believe. To change the unwanted behavior, you have to change the belief. The discovery of The Healing Codes revealed the physical function that automatically activates that healing resource indentified by the Institute of HeartMath. Using this healing resource, a healing code heals by changing the underlying destructive energy pattern, or frequency, of a destructive image to healthy one. The Healing Energy is directed at different combinations of four healing centers in the body. These healing combinations could be compared to use of four components - nucleotides that make-up our DNA. Every difference in every person in the world is determined by a unique combination of just these four components. The Healing Codes is really the discovery of four healing centers on the body. The four healing centers for every cell in the body. The pituitary gland (often referred to as the master gland because it controls the major endocrine process of the body) and the pineal gland. The higher functioning left and right brain, and the hypothalamus. The reactive emotional brain, including the amygdale and hippocampus, plus the spinal cord and the central nervous system. The spinal cord and central nervous system, plus the thyroid. These control centers are active for every system, every organ and every cell of the body. Healing energy from these centers flows to them all. 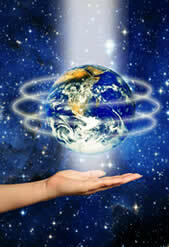 The hands and fingers direct flow of energy at the healing centers. When cells are 'showered' with healthy energy by doing a Healing Code, the unhealthy energy is literally cancelled by the positive energy, similarly to the way noise cancellation headphones cancel harmful sound frequencies. The priority sequence is critical to remove the stress in the body related to a particular problem and to heal the cellular memories related to the problem. The coded sequence is crucial in the healing process. There are twelve categories of healing. It can be done in four sessions, one hour each session. Each category requires using the code in a specific order – it’s a critical point. You just need to know of how to get your own connection to that Source and channel the energy. Energy does not know Time and Space. Distance/remote healing sessions can be done. To keep it simple, I explain to my clients that it is like a use of many massage modalities and techniques. I incorporate different energy modalities during massage sessions for every client according to their needs. They call it a Heaven. We are connecting to One Source and using, applying and directing the energy flow in a different ways. The example of it is working with humas’s chakras which are energy centers, energy field (aura) or twelve body’s meridians which are energy pathways. At The Healing Power You will experience the power of the these Universal Healing Codes, plus additional added bonuses such as reflexology or acupressure or Reiki (chakra cleansing/balancing) or Neck & Shoulders massage or EFT (emotional freedom technique) – your choice that can be added to Your Healing Session. As a Holistic Practitioner I do not diagnose or treat any disease. The Healing Codes therapy is not intended to replace any instructions, prescriptions or directions prescribed by your doctor. It’s offer as an alternative, healing modality to competent and enhanced natural body’s ability to heal itself﻿.